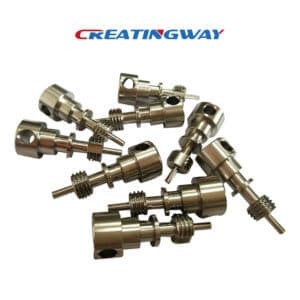 The metal surface finishing is very common process to our metal machined industry, it will take us more aesthetic appearance and protection. When doing any kind of metal work, usually, scratches may result from cutting and machining. The type of metal determines the nature of scratches that will come out. These scratches can make your artwork ugly apart from causing physical injury to the skin, so ususally, we have to make one or more secondary process need be to applied. This is how you can remove the scratches to make the surface fine. Below are 7 main finishing processes to brief descriptions to remove these scratches to make your products looks great. This involves manually rubbing sandpaper against the metal surface. Any abrasive material can work for this purpose. Usually, the coarse material is made up of cutting grains of different grits tightly fixed on a paper. The number of grits determines the finishing power of the sandpaper in such a way that; the higher the number, the finer the finish. Which included very coarse grits and finer grits both to make our products appearance difference. We often used wanter or some others lubricant to flush materials always, and expose a fresh rough surface. We need to use high-frequency technology in this method, . It is best suited for finishing metal surfaces of holes and inner surfaces that cannot use hands to rubbed . Although this will still need one abrasive surface, it is mounted around a thin tool with a fine tip. The tool is then mounted on an ultrasonic spindle vibrating at a 30 KHz frequency. Moving this tool on a metal surface removes all scratches and leaves a fine one. the hand. Magnetized particles are placed inside a tumbler or a tub together with the metal surfaces being cleaned. The particles are then directed to the intended surfaces with the help of a focused magnetic field. Brushing against the surface creates a fine and smooth texture. Here, a tumbler or any other tumbling tub is used. Unlike sanding, the abrasive material is loosely mixed with the items being smoothened. The course material can be small grains of metal, sand, or any other material. After putting the mixture in a tumbler, it is then rotated at high speed to enable the grains to brush against the items. Rumbling and tumbling method is best suited for small-sized objects and not big surfaces. This method is a combination of water, compressed air, and abrasive particles. This mixture is blasted on the metal surface under very high pressure, creating a finer look and also improving the strength of the metal. A file is used to create a fine finish. It is a piece of steel with parallel lines cut into it to make a coarse surface. Filing involves rubbing this tool against the metal surface. Although it is tiresome, it removes big scratches and leaves behind a fine finish. Lapping is somewhat tiresome and needs a very skilled person to do it. A soft iron tool is used with slightly abrasive slurry. The craftsman needs to apply very low pressure when rubbing the tool against the metal surface. Applying high pressure may result in overheating of the surface. Lapping creates the finest finish and flattens the smallest voids. 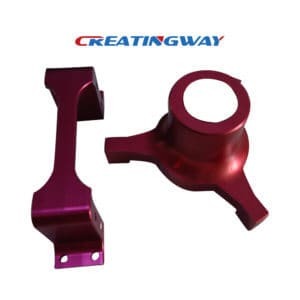 The method used depends on the nature, size, and position of the metal surface finishing, of course, there is still the others finishing process like honing finishing, anodizing, plating, power coating, chrome finishing processes, Creatingway will take more these knowledge to you.